Basketball season at The Still? Well, it’s a big deal. We’re a self-proclaimed sports junkie haven, after all, so you can bet that we’ll always have the basketball game on. But we’re not your typical cramped, dark sports bar, either. The Still is any basketball fan’s go-to spot this season for many different reasons. You’ll find us right in the heart of Las Vegas, and we have the perfect atmosphere to make for a memorable experience during each and every game. 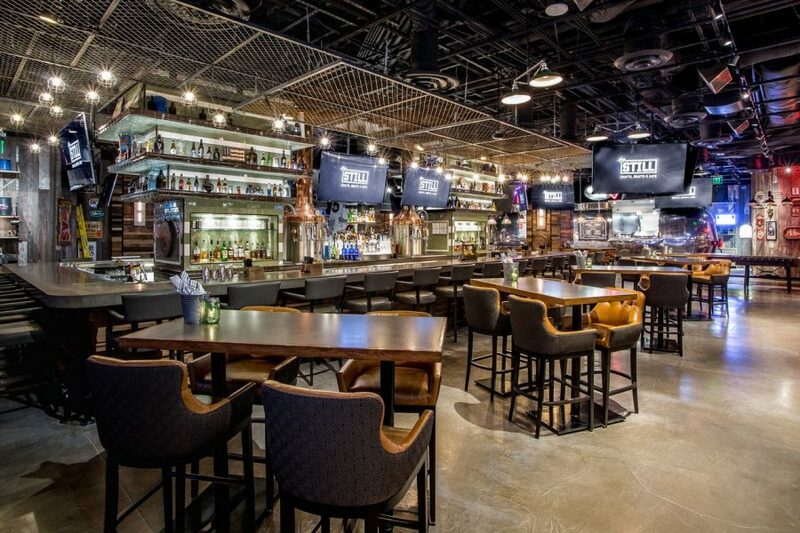 Our comfortable 8,000-square-foot space means you can watch the game without feeling too crowded, and our 27 TVs ensure you won’t miss that amazing must-see shot. Plus, you have to see Bud Bud’s, the refurbished Airstream trailer that now doubles as a fully functioning kitchen. It’s the heartbeat of The Still, and was found abandoned in the back hills of Tennessee. It’s special details like Bud Bud’s that make The Still a unique sports bar and a great destination for basketball fans. When you watch the game at The Still, you won’t be the only one shouting at the TVs and on the edge of your seat as the clock’s running out. It’s just so much more fun to watch games in the company of other true basketball fans, and you’re sure to find them here. 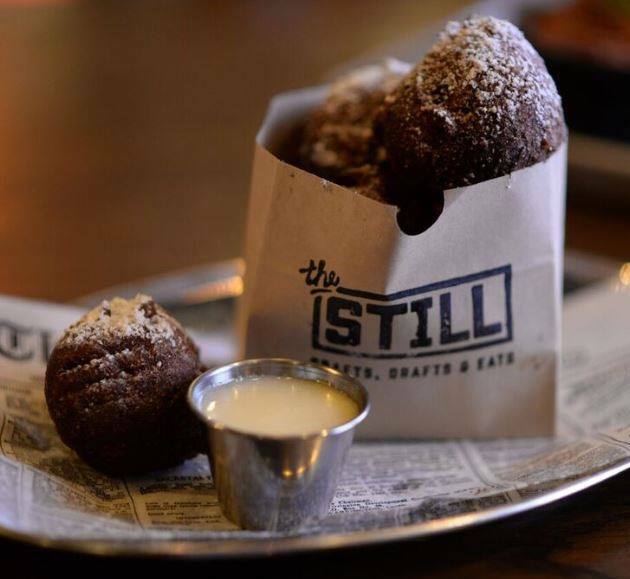 The Still’s upscale bar food offers delicious twists on your game day staples. We have plenty of appetizer dishes that are perfect for sharing with your friends, and they’re all so good that we’d suggest you order a few different apps so everyone can sample everything. To start, our BBQ Chicken Quesadilla will kick things off right. 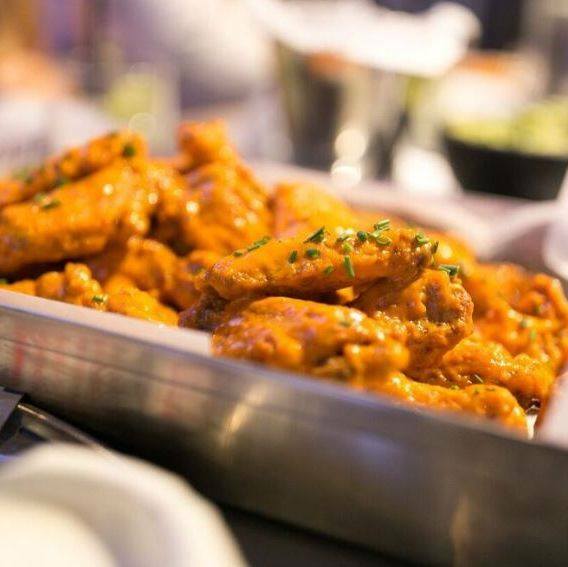 Our Crispy Style Chicken Wings are the perfect appetizer, and with our signature buffalo, spicy Korean, classic BBQ style, Honey BBQ, and Arizona ranch wings, we’re sure to have wings that will appeal to everyone. Next, we’d suggest our Mini Cheeseburgers, or our Steak Street Tacos. Our Philly Cheese Steak Panini is another big favorite, or try our Prime Steak Tip Skewers. Victory is sweet, so if your team is winning, top the night off with a delicious desert. Indulge with our Deep Fried Oreos, complete with red velvet batter, Birthday Cake Oreos, and cream cheese icing. Or, try our Fried PB&J, which comes with marshmallow crème and a Nutella dipping sauce. What’s a basketball game without a beer in your hand? At The Still, our huge menu of drinks means you’ll always have plenty of choices, and we’re sure to have your favorites on tap. 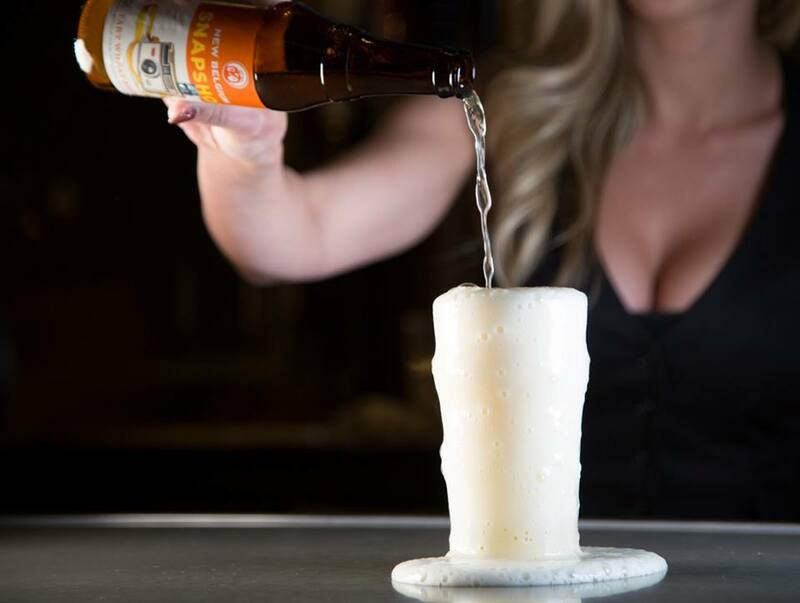 Our draft beers menu is huge, and features classics such as Brooklyn Brown Ale, Goose Island IPA, Shock Top Belgian White, and more. We also have a great selection of bottles and cans, including Bud Light, Corona Extra, Budweiser, Four Peaks Hop Knot, Alaskan Amber Ale, and more. Looking for something a little different? Then try the Stella Artois Cidre, or Estrella Damm Daura, which is gluten-free. Feeling like a celebratory drink when your team wins? Mix things up a little with one of our signature cocktails. The Raging Bull is the perfect way to get amped up for the game, pairing Grey Goose Vodka with a tropical citrus juice blend and Red Bull Orange Edition. The Hot and Dirty also packs a punch with its blend of Belvedere Intense Unfiltered Vodka, Gvort olive juice, and Scrappy’s Firewater Habanero Tincture. Watching the game with that special someone in your life? Then you have to try The Unicorn. This shared cocktail is a truly unique blend of Ciroc Coconut Vodka, Ciroc Red Berry Vodka, red raspberry, coconut, pineapple, citrus, coconut foam, edible glitter sprinkles, and two deep fried Oreos. It’s truly unforgettable and makes the perfect way to celebrate a big victory, but don’t take our word for it. Catch all of the action here at The Still this basketball season. We’ll have all of the games on, and there’s no better way to watch the games than here, in great company. Our basketball nights are popular, though, so if you plan on coming, we recommend you make a reservation so you’re certain to have a great seat. You can make a reservation online, and it takes just a minute. We can’t wait to see you this basketball season!